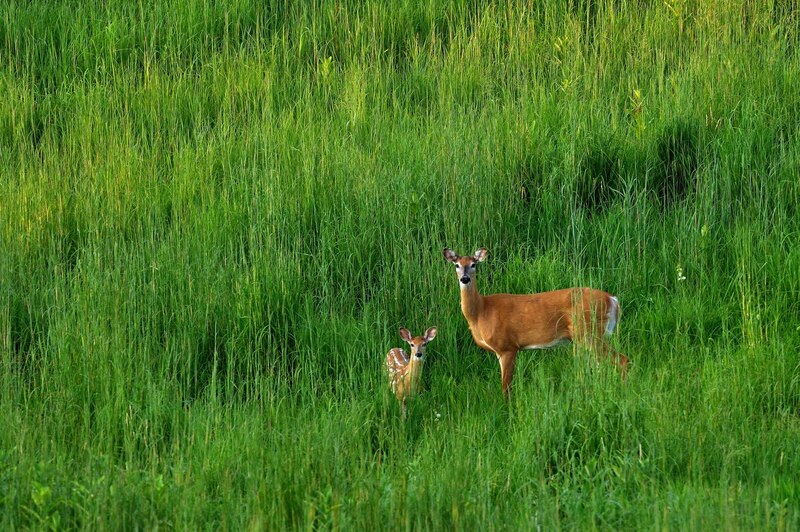 It is always cool to see deer in the tall grass prairie. Just really tough to get close enough to them to get a decent photo. For a long time these two had no idea that I was watching. 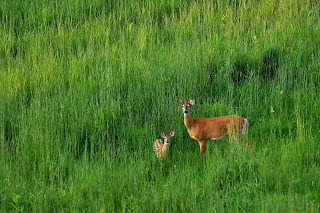 Mom kept a pretty close eye on baby bambi. I crept down to the next little ridge line and got into position to shoot. Mom noticed me. So I hit the hammer. They stayed long enough for a few shots and then bounded off over the ridge. Way cool.